Getting organized isn’t easy. It takes an investment of time and effort. If it were easy, everyone’s home would look like the inside of a home décor catalog. However, the one thing getting organized doesn’t have to be is expensive. While there are lots and lots of specialty products out there that you can buy, chances are what you already have around your home will do just fine. Even if you think you have nothing, here’s the knowledge you need to get organized on a dime. While getting rid of items you don’t use, need, or love is key in getting organized, sometimes just knowing where to store what you have is more important. The first thing to do is to look around your room. Where are there piles of stuff? Determining where and why stuff piles up is key to learning where those items should be stored. It’s important to work with your family’s tendencies - your organizing systems will have more success this way. Once you know where items accumulate, think about the places you can hide clutter. Start by looking behind pieces of furniture. If you pull your couch or a chair out from the wall just a few inches, you can add some bins or baskets to store toys, movies or blankets. Also, measure the space under your furniture. There are lots of things - from poster board to DVDs - that will fit nicely under the couch in a flat tray or container. To prevent scratching your floor, add furniture pads to the bottom of the container. Designate a nook of your home as storage space, add some shelves and hang a curtain in front of it. This is a great way to create closet space where your home may be lacking it. A beautiful curtain can also add a bright pop of color and costs less than a meal out. Kids also love these spaces! Create a craft corner or a reading nook - they won’t mind sharing the space with a box or two of stored items. One of my all-time favorite ways to disguise clutter is to use kitchen cabinets. These are for more than just the kitchen! Instead of installing custom built-ins, which can be costly, use ready-made kitchen cabinets to get the look for less. Ready-made kitchen cabinets can be easily customized in afternoon for the exact look you want. In an entryway, add a padded top for seating and you have instant foyer storage and organization. In a dining room, use kitchen cabinets to store your seasonal plates, vases and linens. Adding shelving above cabinets - or a simple counter top and a coat of paint on the wall behind them - can make all the difference to a space. Often, hallways are wide enough to add cabinetry to. The nooks of your home, the space under windows and vacant corners in larger rooms are all perfect candidates. You can also even use kitchen cabinets as the base of a free-standing entertainment unit, desk or kitchen island. Instead of running to your local store and buying lots of organizing supplies, think about what you already have. In my 12 years of professional organization, I’ve never worked with a family that didn’t have extra baskets, bins or totes stored somewhere in their home. Once you’ve utilized these, think about what you’re throwing away. If you have a baby, those tiny glass baby food bottles are perfect for organizing small items in the garage, office supplies and tiny toys. Not only are these little glass jars clear so you can see what’s inside, but, you’ve already paid for them! Diaper wipe containers are another perfect organizational tool. Because they seal well, you can store items in them securely and safely. They are perfect for first aid kits, art supplies and even makeup kits. If something spills inside, the container is easily washable - or simple recycle it and start again with your next container. Need other ideas? Egg cartons are one of the best organizational tools ever invented. They can store toys, makeup, jewelry or paperclips. This is my number one organizational tool for a junk drawer. Egg cartons are shallow enough to fit in the average drawer, durable and free! Commit to creating a plan to organize your home. There’s no perfect way to get organized, and there isn’t a one-size-fits-all organizing tool. 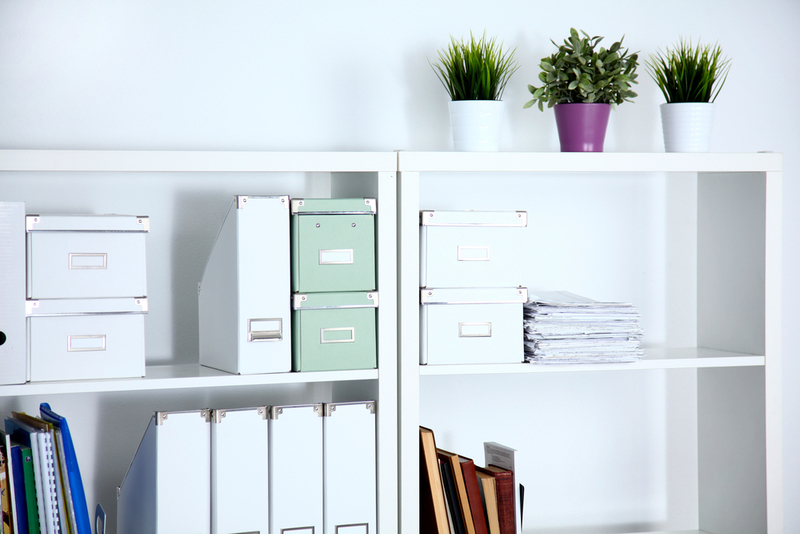 Getting organized is all about making things work for your family, budget and decor. Using what you already own cuts down on the budget. When you do need to buy some new tools and options, thinking outside of the box can save you time and money and open up some amazing options you probably hadn’t even considered. 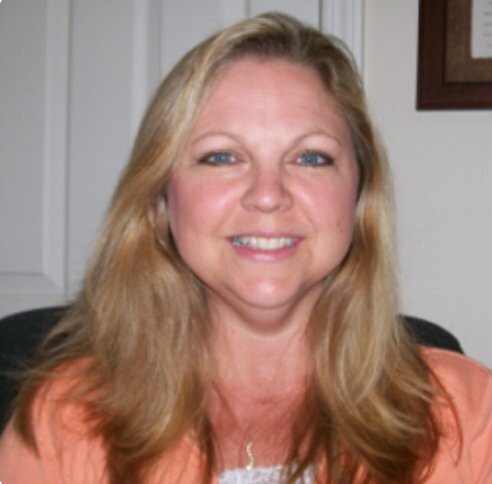 Bonnie Joy Dewkett is professional organizer who has years of experience helping her clients to declutter. She writes for The Home Depot on a variety of topics, such as how to use ready-to-assemble cabinets to organize your mudroom to items and repurposing items you have lying around your house to get organized. Copyright © 2017 by Bonnie Dewkett. All rights reserved.